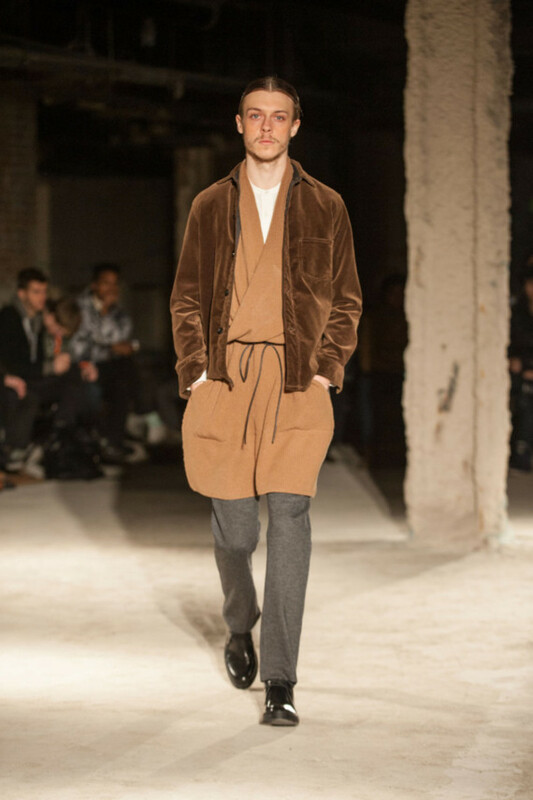 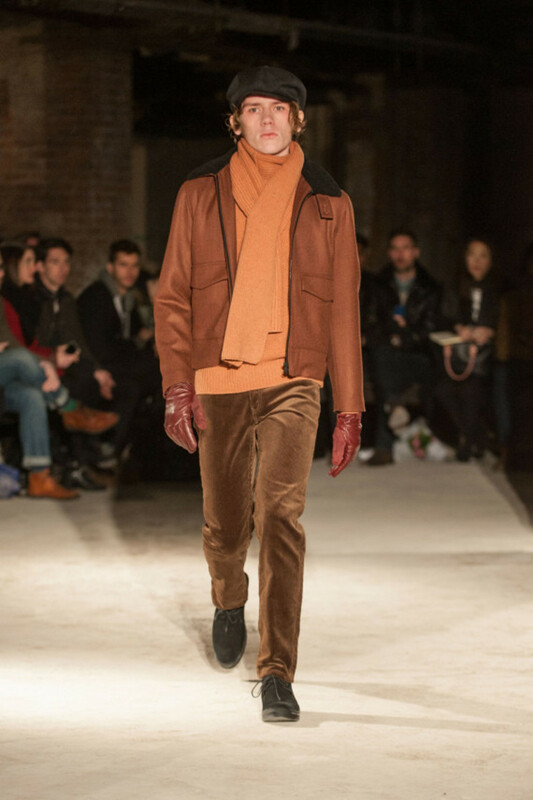 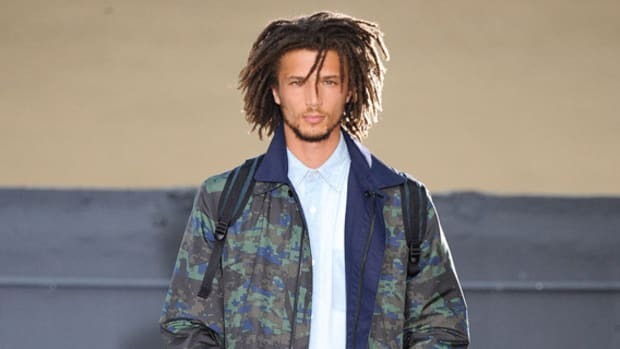 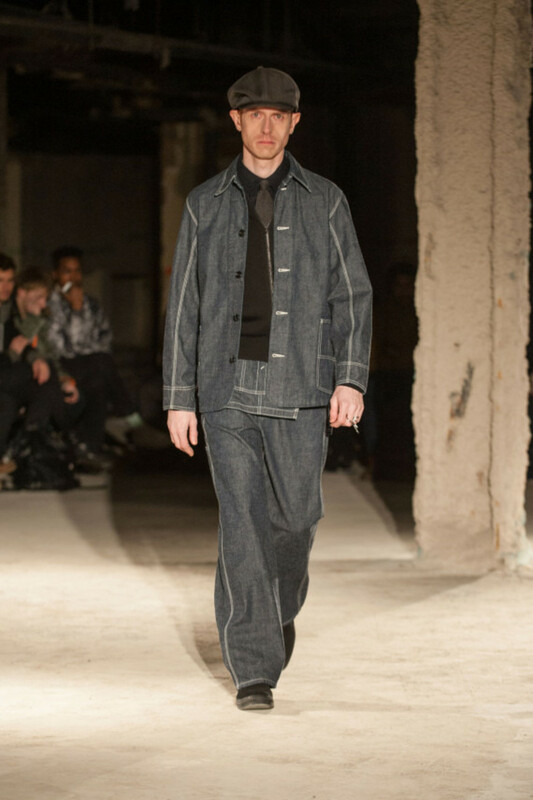 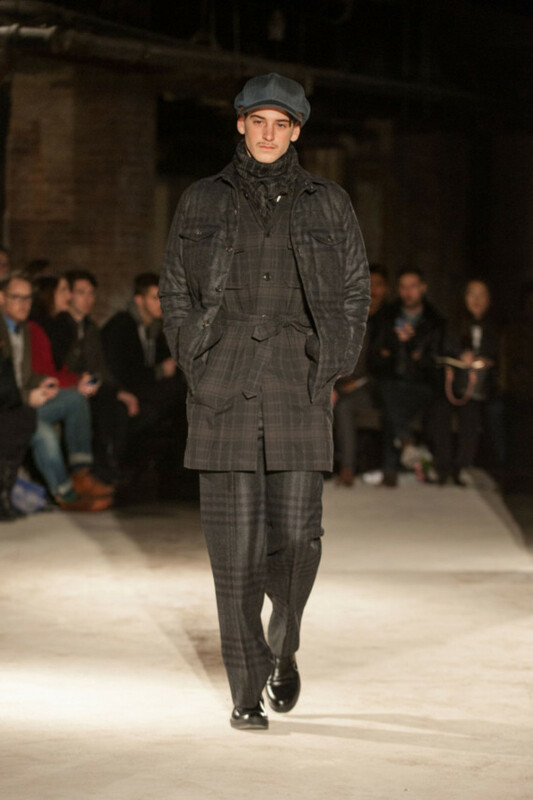 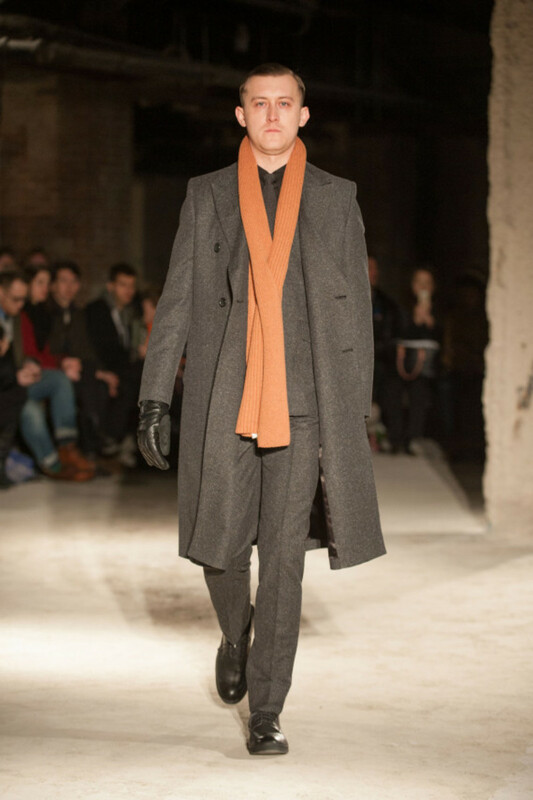 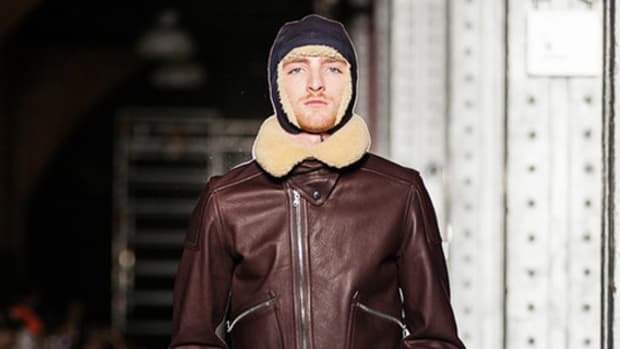 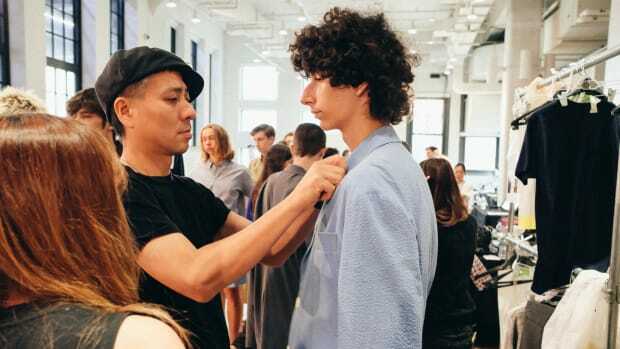 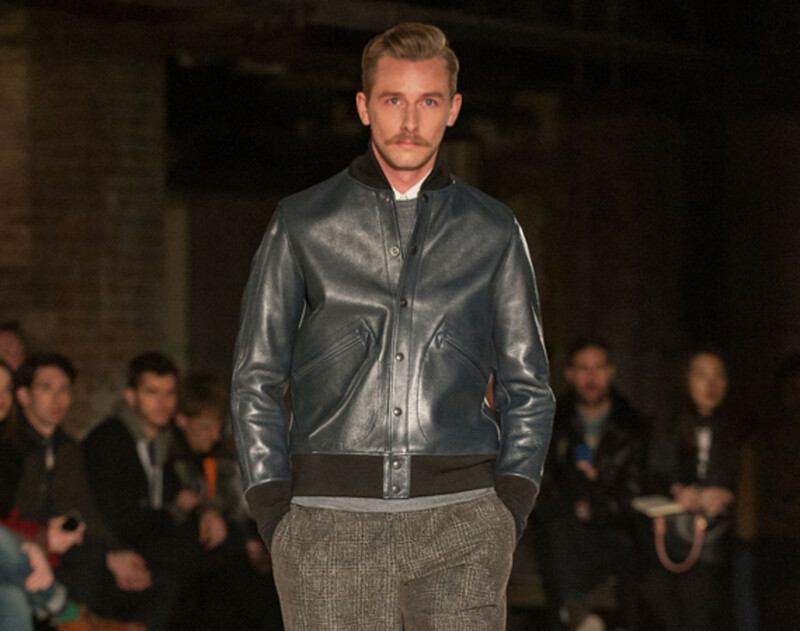 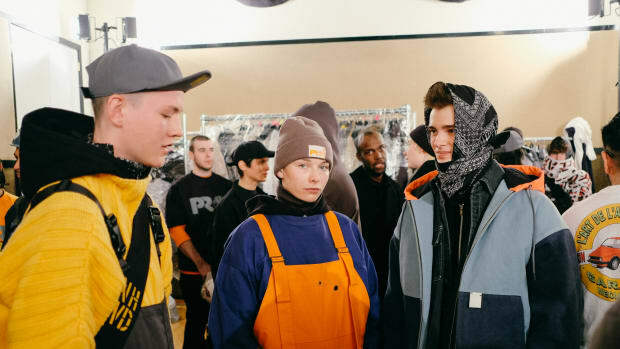 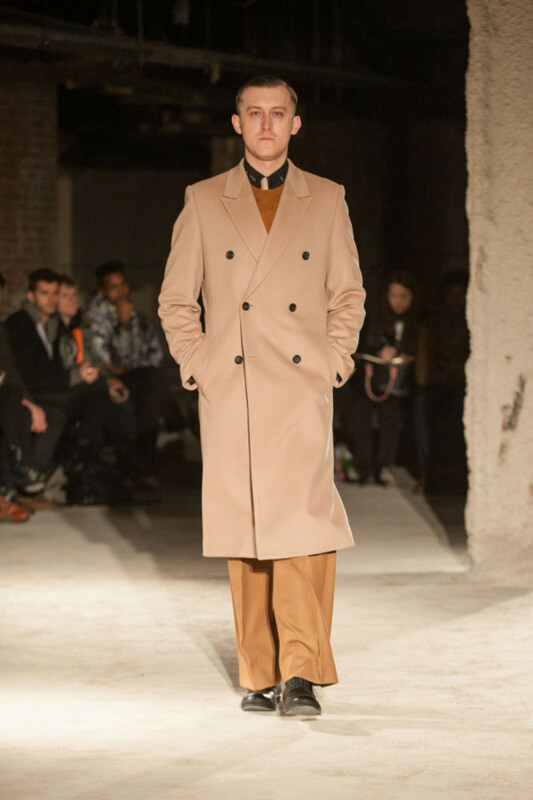 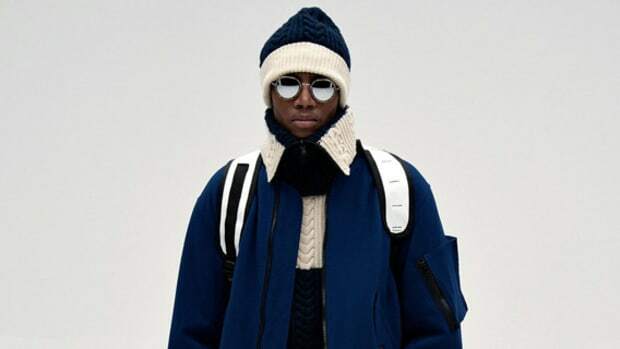 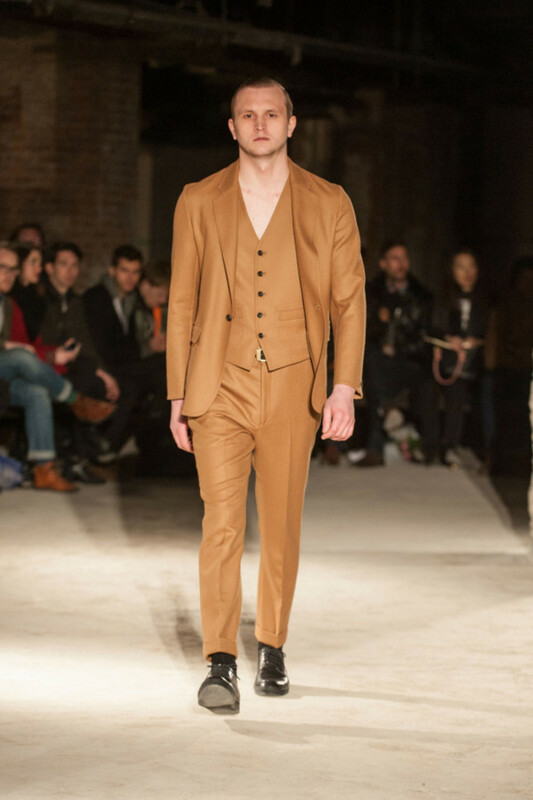 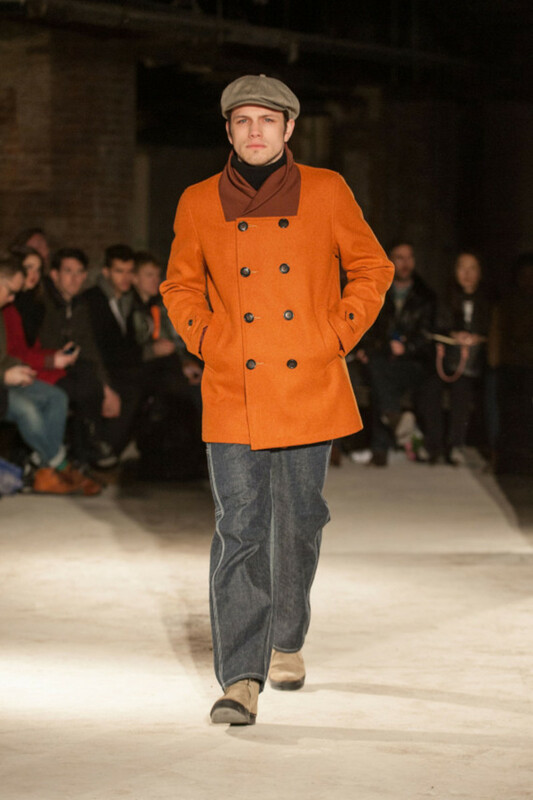 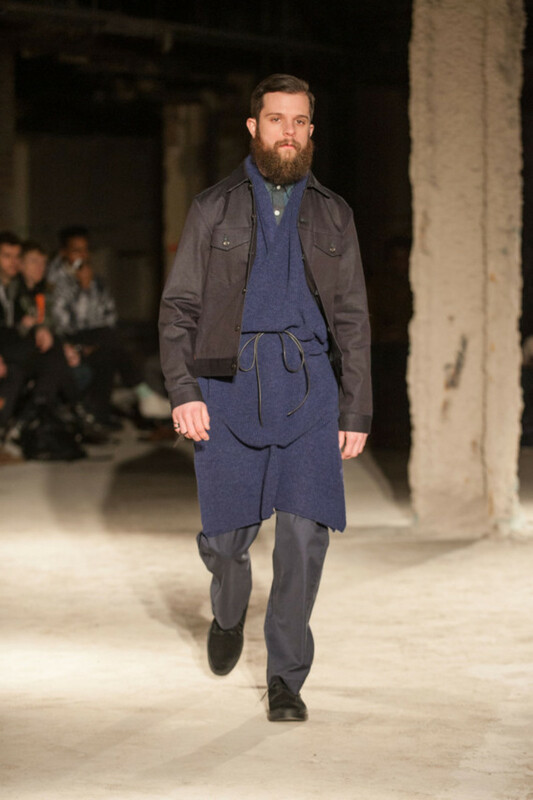 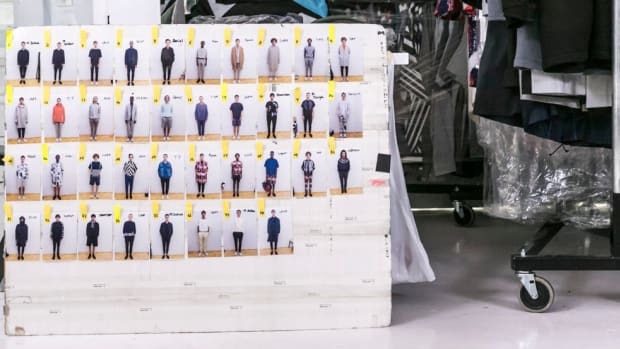 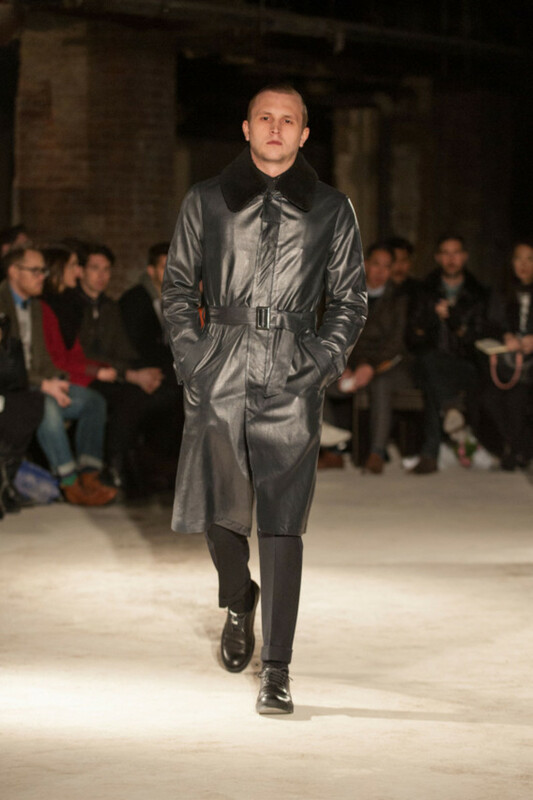 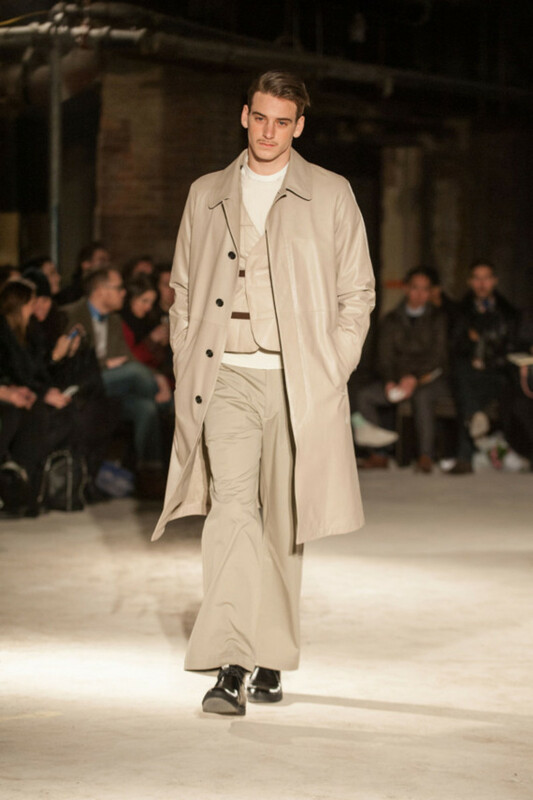 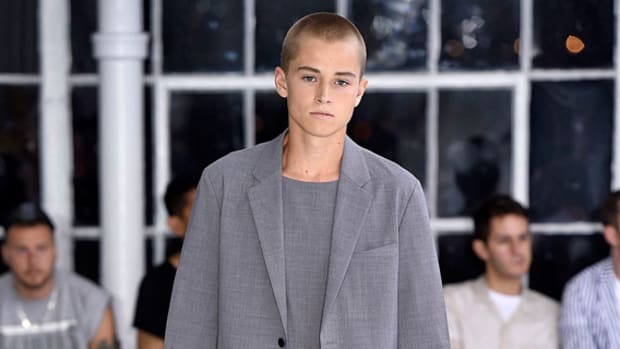 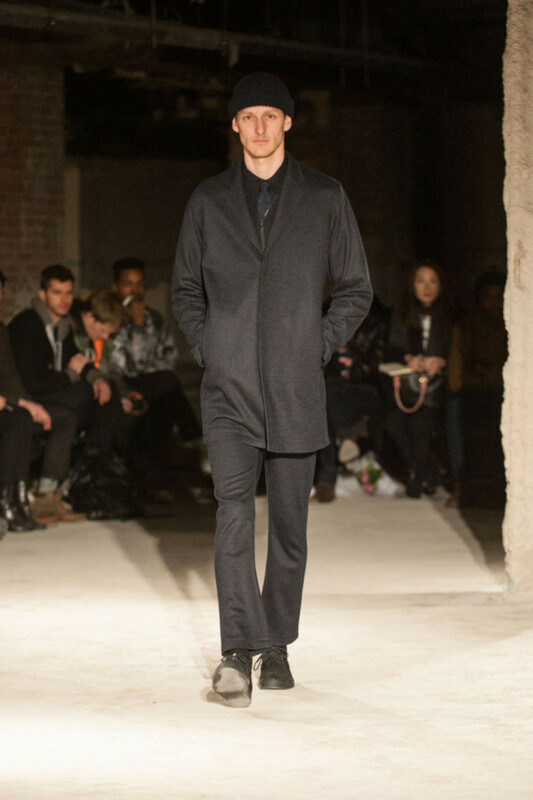 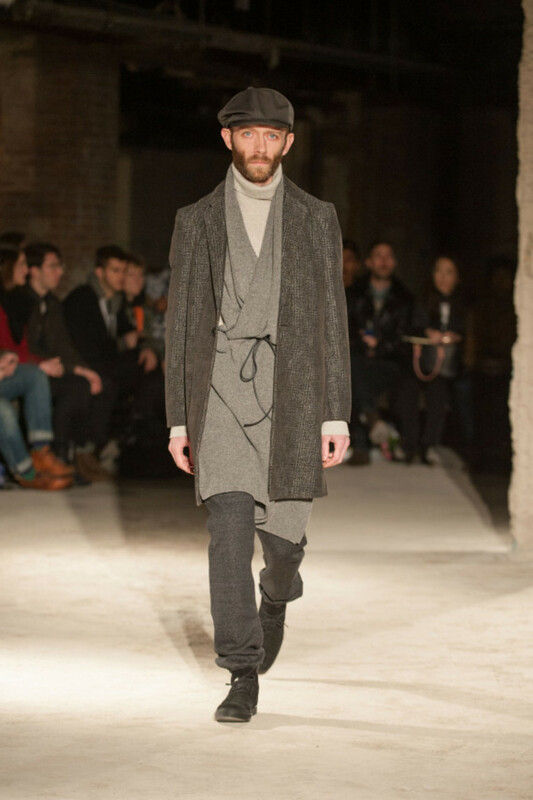 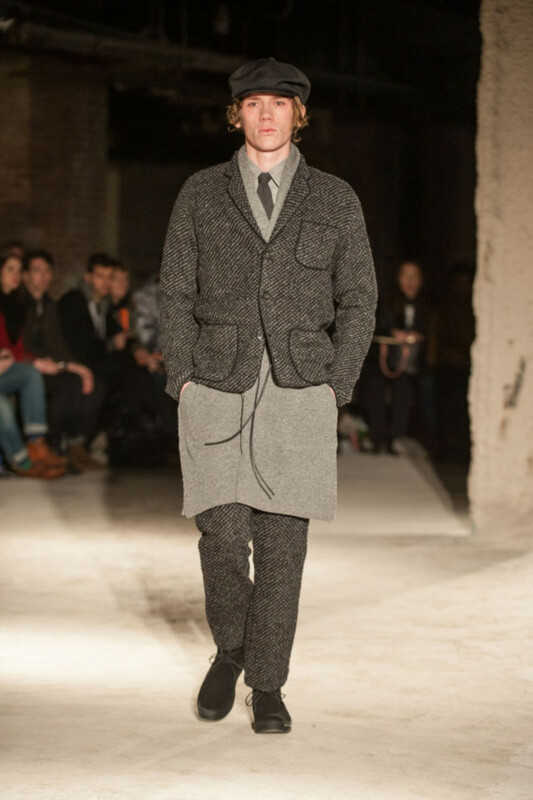 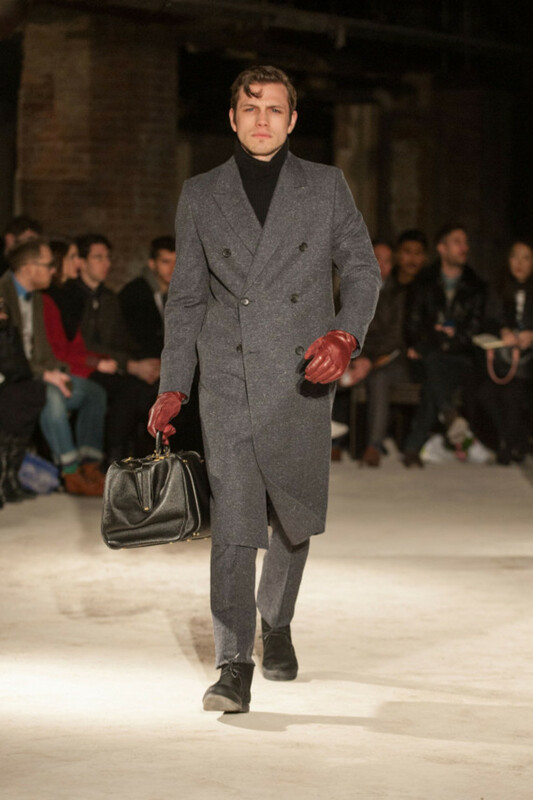 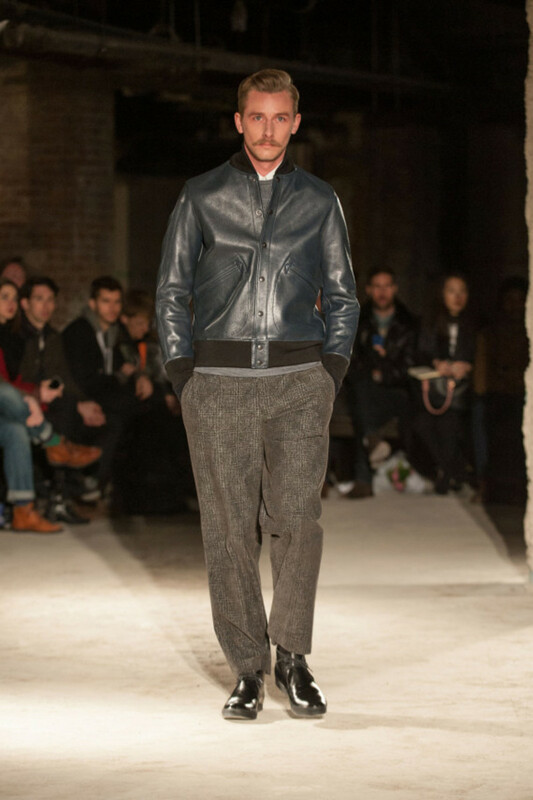 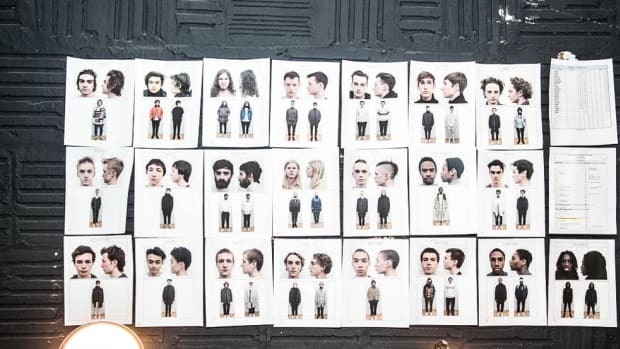 In presenting his New York Fashion Week runway show for N. Hoolywood‘s Fall/Winter 2014 collection, designer Daisuke Obana looked to the impeccably dressed bootleggers from the Prohibition Era spanning 1920 to 1933. 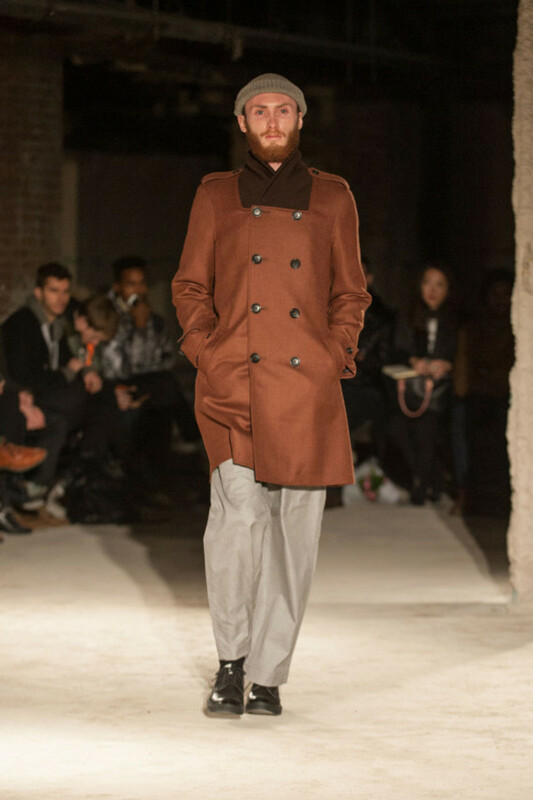 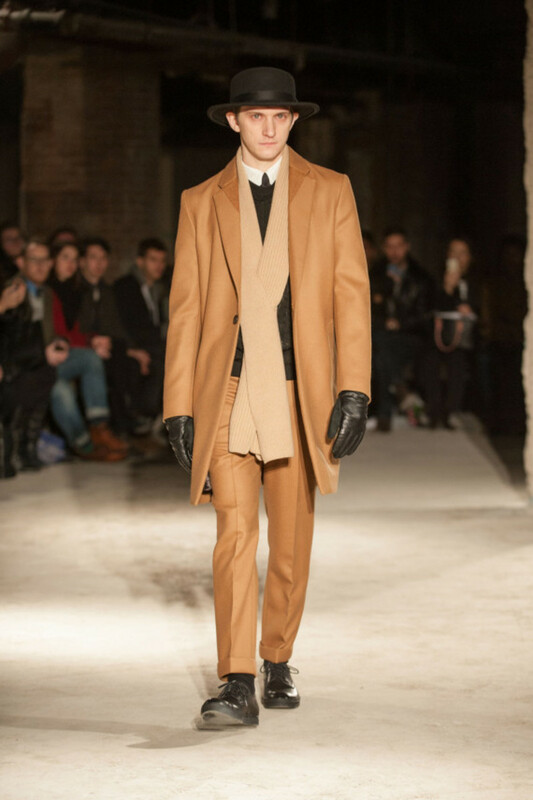 Accordingly, the men wore beautifully tailored camel topcoats over loose-fitting flannel suits, along with peacoats, fedoras and wool knit caps. 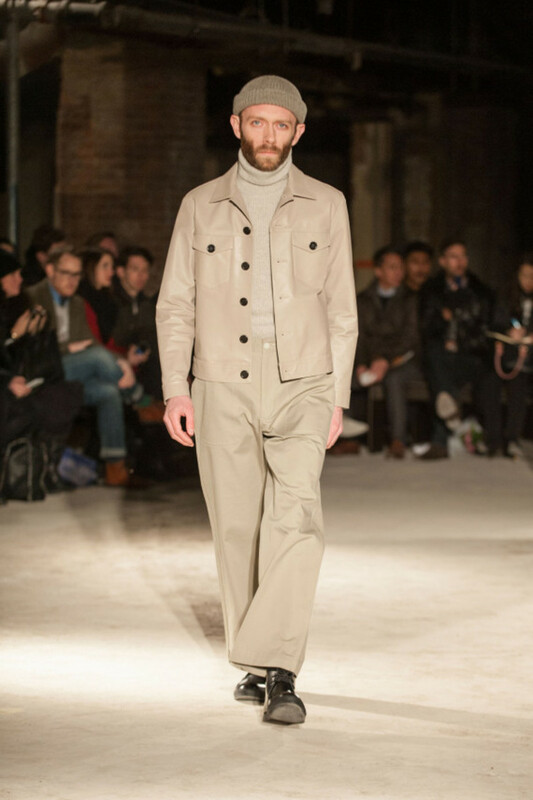 Some of the looks seemed to suggest the smuggler gentlemen who worked point at the docks, with even the low men on the bootlegging depth chart sporting dapper ribbed sweaters, treated denim pieces and aprons. 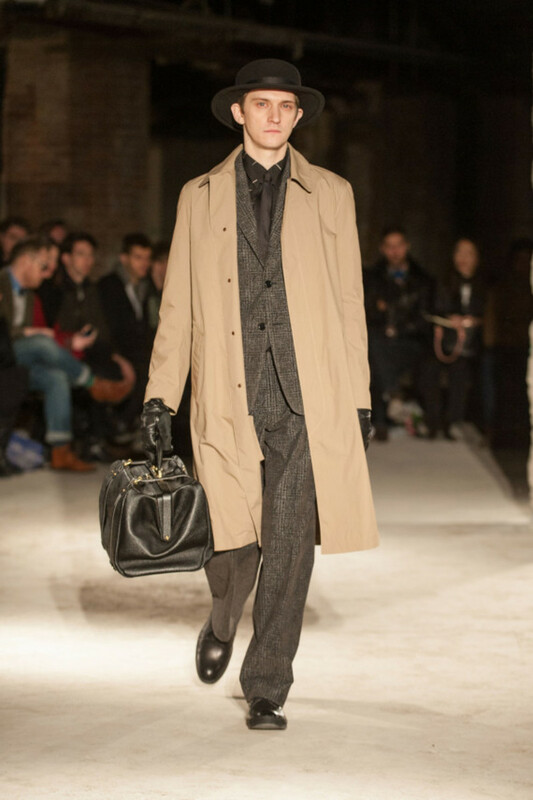 The collection drew out the refined elements of the historic period, combining to produce the new dandy.